Teachers of the Year from each of the district's schools will be honored at a reception in November. WEST COLUMBIA, SC -- Lexington Two District Teacher of the Year Daniel Bailey, along with Teachers of the Year from each of the district’s schools, will be honored at a reception this week. The event starts at 6:15 p.m. Thursday, November 30, before the monthly 7 p.m. Board of Trustees meeting. Bailey, a social studies teacher at Airport HIgh School, will be joined Thursday by Teachers of the Year from other Lexington Two schools: Lauren Tavernier, Taylor Elementary, and Taylor Gepper, Davis (combined this school year into Cayce Elementary); O’Neta Poovey, Springdale Elementary; Christine Flynt, Congaree Elementary; Yvonne Gadsden, Saluda River Academy; Dianne Simon, Pineview Elementary; Windy Yeager, Wood Elementary; Andrew Price, BC Grammar No. 1 Elementary; Jenna Vaporis, CWECC; Jennifer Strickland, Northside Middle; LK Callicot, Fulmer Middle; Forest Kinnett, Busbee Middle; Kellie Worley, Pine Ridge Middle; Patricia Hammond, Brookland Cayce High; and Karen Stevens, Pair. 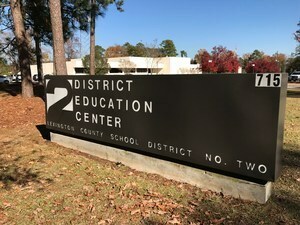 The reception will be at the District Education Center, 715 Ninth St., West Columbia.